If you follow me on Facebook or Instagram then you may have noticed some big news that Beachbody announced this week! Customers and Coaches have a brand new option that is truly the revolution of at-home fitness!! I can remember back in the day using my old Pilates VCR tapes and then thinking that DVD's were just the absolutely coolest invention! So, for a greater part of my life I collected DVD after DVD of movies, workouts, games, etc. When Beachbody first announced their concept of Beachbody on Demand in January of 2015 I wasn't that excited. I mean, why would I need that if I have my DVD's, right? Using my laptop, ipad, iphone, and/or smart TV to access my workouts? That's too much work! But as the world evolves we are seeing more and more of live streaming and streaming of movies, TV shows, and now, workouts! Things change!! And a lot of times, they change for the better! 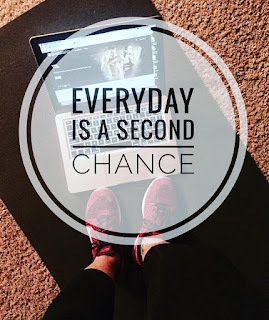 So, as a Coach I gave in and tried out Beachbody on Demand and boy am I glad I did! Times are changing and I would expect Beachbody to be right on top of that! For well over a year now I've been streaming my workouts right through Beachbody on Demand! Why? #1 it's easy and convenient! (no more commercials / ads). #2 I can take my workouts anywhere I go. #3 I don't have to worry about scratching a DVD and causing it to skip (let alone losing it all together!). #5 There are exclusive (non DVD) workouts that area AWESOME! I could probably go on and on but I'll spare you and get to the point! Beachbody has announced an exclusive limited time offer in the form of an ALL-ACCESS Beachbody on Demand Challenge Pack! I'm sure your thought right now is....ok, big deal. What's that? Well let me tell you! 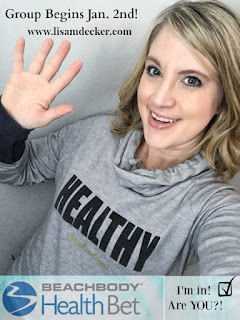 Under the current Beachbody on Demand (BOD) membership you can access over 25 programs, exclusive workouts, etc but the one downfall is a lot of the newer and/or more popular programs (21 Day Fix, PiYO, Cize, Country Heat, etc) were not fully unlocked. You could do one sneak peek workout and that's it! In order to unlock them you either had to pay to digitally unlock or purchase the DVD's. This is no longer!! With the All-Access Challenge Pack EVERY SINGLE BEACHBODY HOME FITNESS PROGRAM IS UNLOCKED AND READY TO USE!! This includes the deluxe workouts too! Oh, and they are unlocked for a FULL YEAR (with the opportunity to renew your membership after that year). How cool is that?! So let me answer some questions that you may be thinking right now. What is included in the annual Beachbody on Demand All Access Challenge Pack? 1 Year Membership to Beachbody on Demand with all content included PLUS future releases. That's right, when a new workout comes out in 2017 you don't have to buy it! It will be right at your fingertips! Shakeology (30 day supply, flavor of choice, on Home Direct - don't worry, you are not locked in. You can cancel if you don't feel that you want to continue this and you will still keep your BOD membership). 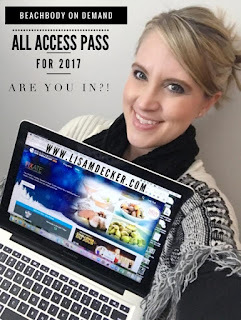 Access to my monthly virtual accountability groups throughout 2017 as well as 1:1 support, motivation, and accountability! What is available on Beachbody on Demand? How can I stream my workouts? 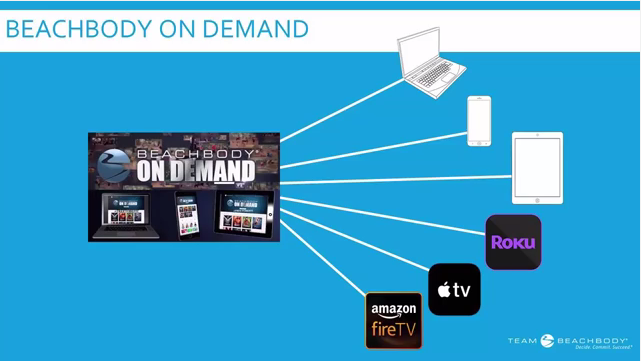 You have a handful of options when it comes to accessing Beachbody on Demand. I personally use my laptop, go in to my browser, pull up the website, and I'm all set! My husband uses our iPad where we have the BOD app, which you can also save workouts on for instances when you don't have access to WiFi. You can also use the app on your iphone and if you don't have an iphone, you can just access it through your browser like you would on a computer or laptop. In addition, if you have Apple TV, Amazon Fire Stick, Roku, etc you can use your Smart TV! I personally don't have those but I do have a Smart TV which means again, I can just pull it up right on the browser. What are the price options for an All-Access Pack? The Annual All-Access Beachbody on Demand Challenge Pack is $199 US ($231 Canadian) - for a limited time. 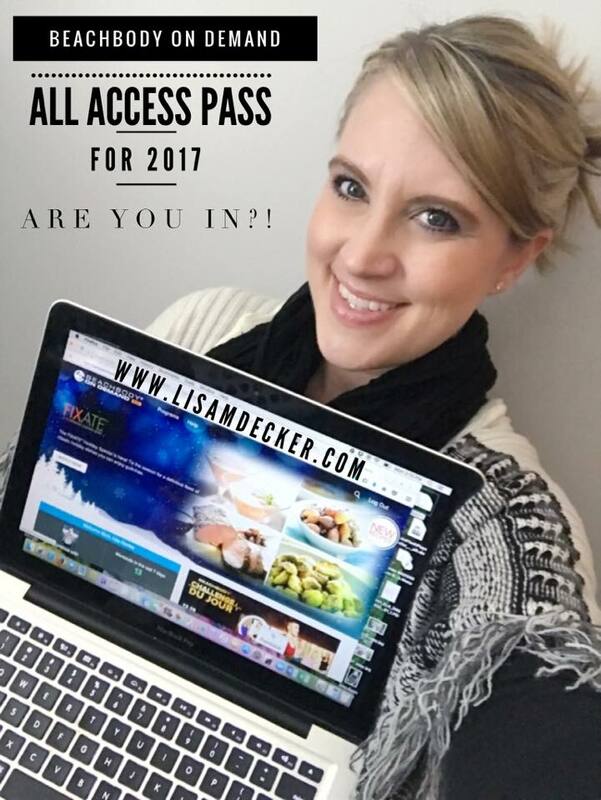 This includes your all-access pass, Portion Fix nutrition plan, containers, shaker cup, as well as your month supply of Shakeology and access to my 2017 virtual accountability groups. You can also choose an Annual All-Access BOD Kickstart Challenge Pack which includes everything from the regular pack plus a 3 Day Refresh kit for $239 US ($277 Canadian). If you purchased a Challenge Pack between 12/1 and 12/26 you can upgrade this pack to the all-access membership for $69 ($77 Canadian) using this link: www.BODMembershipChange.com on December 27th. If you already have a BOD membership you can upgrade using the same website AFTER calling customer service to cancel your current one. Don't worry, there will be prorated options so you won't be losing money that you already invested into your membership. When is this all available and who can join? All of this will be launched and ready to go on December 27th, just in time to start the new year on a healthy note! If you are an existing customer you can cancel your current Beachbody on Demand membership (and Shakeology home direct if applicable) and get the challenge pack option. If you are a new customer you can join as well! If you are already working with a Beachbody Coach I encourage you to reach out to him or her to see what options are available to you. The awesome thing about this news is that it is for EVERYONE! Whether you are beginning your health and fitness journey or you are in the advanced stages, there is something for EVERYONE!! 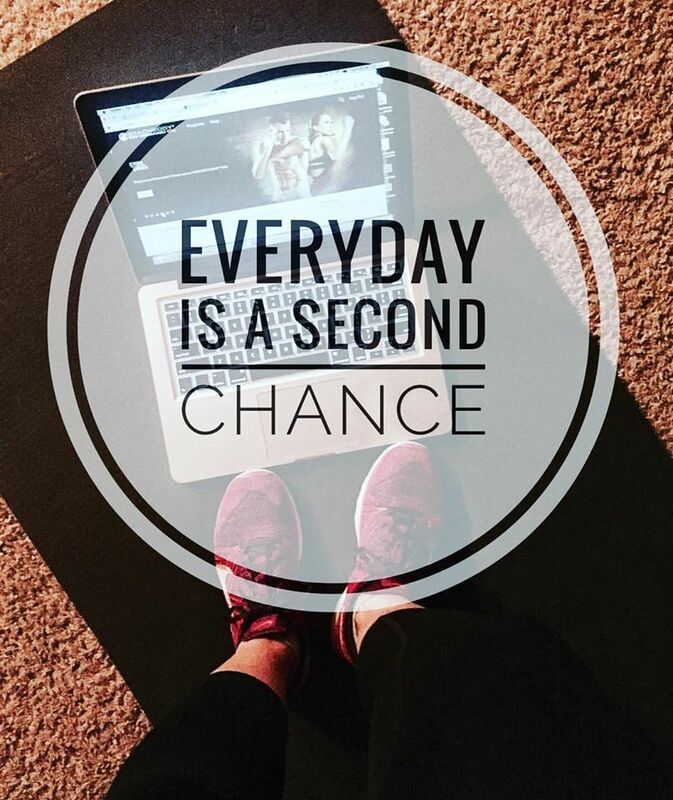 When someone commits to a fitness program, they typically commit to the 21, 30, 60, or 90 days of the program. This option is allowing you to truly focus on health the entire year so that you can make a truly healthy lifestyle change. You don't have to worry about getting bored with a program because you can constantly switch things up as you see fit! As a Coach, I provide daily support in the form of small groups (through my virtual accountability groups) and 1:1. I have been on my fitness journey for over 3 years now and have learned and educated myself on the importance of both nutrition and fitness. I've been able to make that transition with my family into a healthy lifestyle with a true balance. I love sharing my tips, motivation, recipes, and personal experiences with others to help them make this same very important life change. On January 2nd I am kicking off my New Year New You Challenge. It will be a Beachbody Health Bet so you will be getting paid to get healthy! If you'd like more info on the group click HERE! I want 2017 to be YOUR YEAR! I want to help you make a change that will have a positive impact on both you and your family. Instead of thinking of all of the reasons why you "can't," think of all of the reasons why you SHOULD and why you CAN!